The Ozone Chickenloop PU/Amsteel Line is the replacement line that runs through the center of the chickenloop, bar, and depower system. 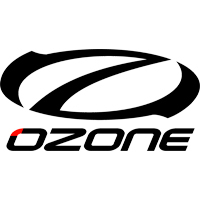 This line can be used to easily replace the lines on Ozone Contact Water Control Bars 2011+ model year for both Ozone Megatron and Megatron II Chickenloops. If you have a prior model year bar, some of the depower system is sewn together so it will require custom work to retrofit this part.